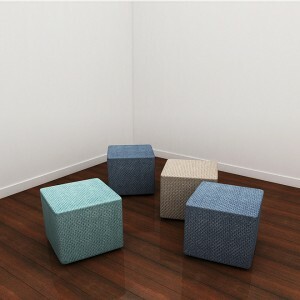 HC Group can manufacture quality ottomans in five different styles. Click on the image to see the range. Ottomans are one of the essential pieces of furniture that brings a sense of comfort and style in your living. For many, not having one it is fine, but for a modest cost, it adds life to your house by giving it a complete feeling. They can go with your sofa chair or can also be used as wall sitting. It all depends on how you want to use it and you can easily find the perfect one. Ottomans come a variety of sizes, shapes and styles and each of them offer an equally compelling sense of relaxation. Finding the right piece of furniture is very important or it would be of no use; same goes for ottomans as well. If you are considering buying one or two for a living room where there are a lot of guests, consider a one rectangular or square in shape with a leather upholstery. Especially if you want to place it at a place where your guests might sit on it to sip a glass of wine. 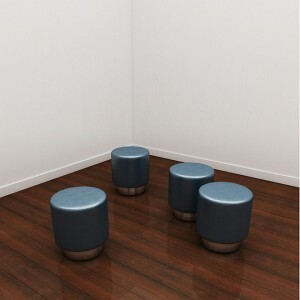 It gives a rich feeling while proving a comfortable and sturdy sitting place. However, if you want to have one to rest your feet after a having a long day at work, then you certainly need a soft one made from fabric and sized only a few inches less than your much loved sofa seat. One thing that needs to be taken care of is buying one that matches the furniture in your room and goes well with the ambience of the room as well. Buying one in brown or beige color when rest of the furniture is black or any other color makes it an ill fit. Going into the bedrooms and rooms for kids, pouf ottoman make a perfect companion. They are fluffy, easy to move, more comfortable and can be used in a number of ways. 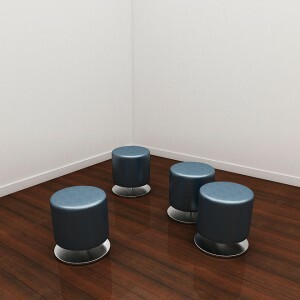 They can even be used as pillows or something to sit on while you rest your back with the wall. Moreover, they can be of any color or size. Finding the right ottoman can make or break the look of your room. Here at HCCF, we will make every positive effort to make sure you get the perfect looking ottomans at a very reasonable price. Our team of professional interior designers and furnishing experts would love to help you out. Just visit us any business day during business hours at the location given below and we are positive you will love the bargain you get.